Find places to stay in Lancaster, CA and other fun things to do. View our list of attractions, activities, events, restaurants and visitor information. Complimentary breakfast and Wi-Fi plus a heated pool are the peak perks at the Americas Best Value Inn and Suites Lancaster. Free Internet, Swimming Pool,Outdoor Pool, Free Breakfast, Pets Allowed, Non Smoking Rooms. The free Wi-Fi and breakfast and all-season pool heat things up at the non-smoking Best Western Plus Desert Poppy Inn. Free Internet, Swimming Pool,Outdoor Pool, Non Smoking Rooms. Free hot breakfast free Wi-Fi and a seasonal outdoor pool and hot tub are the enjoyable perks at the Comfort Inn & Suites Lancaster. Free Internet, Swimming Pool,Outdoor Pool, Pets Allowed, Non Smoking Rooms. Currently as low as $449.00/night! Elegance in the Desert of Southern California is set in Lake Los Angeles and offers barbecue facilities and a garden. Guests staying at this holiday home have access to a terrace. Free Internet, Pets Allowed, Non Smoking Rooms. 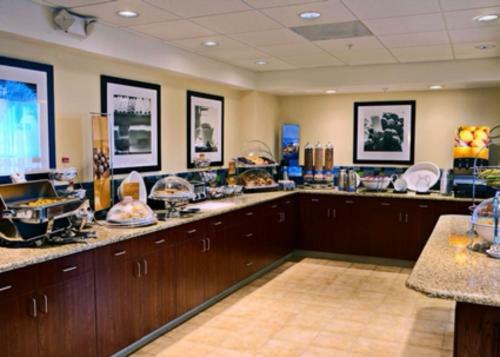 Free hot breakfast free Wi-Fi and a heated indoor pool are winning features for our guests at the non-smoking Hampton Inn & Suites Lancaster. Free Internet, Swimming Pool, Indoor Pool, Non Smoking Rooms. Complimentary hot breakfast free Wi-Fi and a seasonal outdoor pool top the list of convenient comforts at the Holiday Inn Express Lancaster-Palmdale. Free Internet,Outdoor Pool, Free Breakfast, Non Smoking Rooms. Suites with views of the desert and mountains free hot breakfast and weeknight receptions make the Homewood Suites Lancaster a great deal for our guests. Free Internet, Swimming Pool,Outdoor Pool, Pets Allowed, Non Smoking Rooms. Wi-Fi and a seasonal outdoor pool await our guests at the Motel 6 Lancaster an economy hotel near the Big 8 Softball Complex. At this two-story Motel 6 72 exterior-access rooms come are outfitted with free local calling and expanded cable TVs.Outdoor Pool, Pets Allowed, Non Smoking Rooms. Exceptional has never been so affordable. Featuring 173 rooms the Oxford Inn & Suites Lancaster offer every comfort starting with the supremely comfortable mattresses and premium bedding. Free Internet,Outdoor Pool, Pets Allowed. All-suite accommodations with free hot breakfast free Wi-Fi and a heated outdoor pool are there for our guests at the non-smoking SpringHill Suites Lancaster Palmdale. Free Internet, Swimming Pool,Outdoor Pool, Non Smoking Rooms. Free breakfast free Wi-Fi and a seasonal outdoor pool and hot tub are the peak perks for our guests at the Town House Motel. Free Internet,Outdoor Pool, Non Smoking Rooms. The outdoor pool free hearty breakfast and Wi-Fi and central location near museums and the Metrolink sweeten the deal at the non-smoking Towneplace Suites by Marriott Lancaster. Free Internet, Swimming Pool,Outdoor Pool, Free Breakfast, Pets Allowed, Non Smoking Rooms.